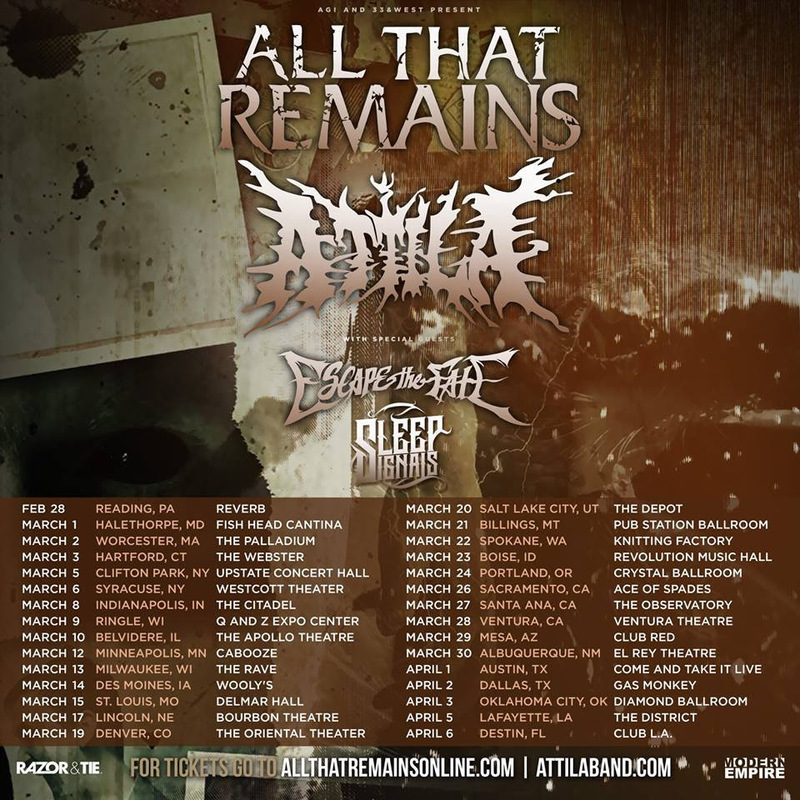 Minneapolis, MN-based rockers Sleep Signals will be headed out on tour with All That Remains, Attila, and Escape the Fate. The tour kicks off on February 28th in Reading, PA at Reverb and concludes on April 7th in Orlando, FL at Hard Rock Live. 2019 continues to be a huge year for Sleep Signals. The band has toured heavily in support of their latest EP, At the End of the World, which was produced by Grammy-nominated producer, Justin Rimer (Saving Abel, 12 Stones, Wayland). Last fall the band was on a full US tour with heavy hitters Atreyu, Memphis May Fire, and Ice Nine Kills. They've also played several festival dates including Northern Invasion, Brat Fest, Texas Showdown, SXSW, and Texas Rockfest with bands like Soundgarden, Godsmack, Bush, and Vince Neil. 4.06 Destin, FL | Club L.A.